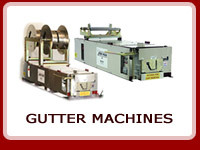 High-Tech Gutter Supply is the fastest growing seamless guttersupplier in North NJ. 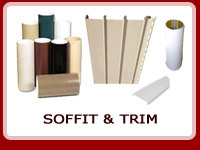 We have large selection of gutter coils with all accessories to match. 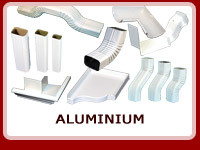 We specialize in aluminium and copper gutter materials. 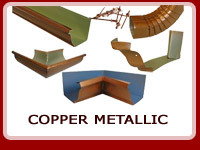 Also we offer galvanized and lead coated copper products for your needs. 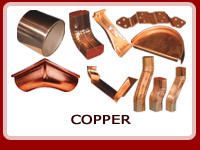 Our mission is to provide excellent customer service and quality product at competitive prices. 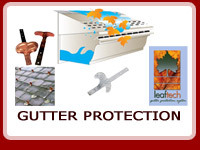 its own GUTTER PROTECTION SYSTEM! 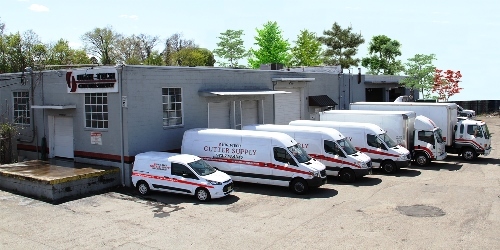 Our delivery service allows you to have custom length gutter formed on the jobsite for exact measurements along with all of the required accessories. 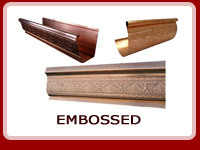 We deliver Tri-State area and Ship anywhere in United States. 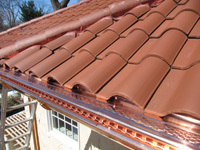 High Tech Gutter Supply offers the area's largest selection of Half Round Seamless gutters in Aluminum or Copper in 21 Colors to choose from. Please move mouse over to zoom image.